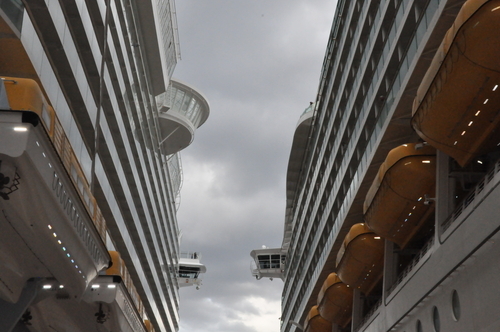 I can’t make it to my cruise on time — how about a refund? Ronald Dunnington misses his Celebrity cruise because of a pilots’ strike. Can he get a refund for his entire vacation? Posted in The Travel Troubleshooter Tagged CELEBRITY, FLIGHT, MISSEDLeave a Comment on I can’t make it to my cruise on time — how about a refund? Can I write a happy ending to this Celebrity horror story? If they gave an award for the longest complaint letter, then Cornelia Stumpf’s missive to Celebrity Cruises would definitely be a leading candidate. At 3,661 words, it is an epic-length tale of a vacation gone wrong — a tale to which Stumpf would like me to help her write a happy ending. Today, I’m moving my Tuesday feature “Can This Trip Be Saved” to Monday, and there’s no better case to start it off with than Stumpf’s. To her credit, she didn’t bury the lede. Posted in Should I Take The Case? Tagged CELEBRITY, CRUISE, ROUTE63 Comments on Can I write a happy ending to this Celebrity horror story? Douglas Kauffman had the misfortune of being booked on the Celebrity Millennium. You may recall the propulsion problems that caused a string of cancellations late this summer. Well, one of them was Kauffman’s. Cruise lines like Celebrity have a customer-service protocol that they follow in the event of a cancellation. While these standards address almost every vacation, there is no one-size-fits-all fix. Someone inevitably feels they’ve been short-changed, and that’s why Kauffman contacted me. They want a full refund from Celebration — but do they deserve it? The Radisson Grand Lucayan Beach & Golf Resort looks like the ideal place for a four-night land portion of a cruise vacation — at least it did to Martin Lambert when he booked a Celebration cruise to the Bahamas recently. Posted in Commentary Tagged CELEBRITY, CRUISE, RADISSON, REFUND, REQUEST82 Comments on They want a full refund from Celebration — but do they deserve it?